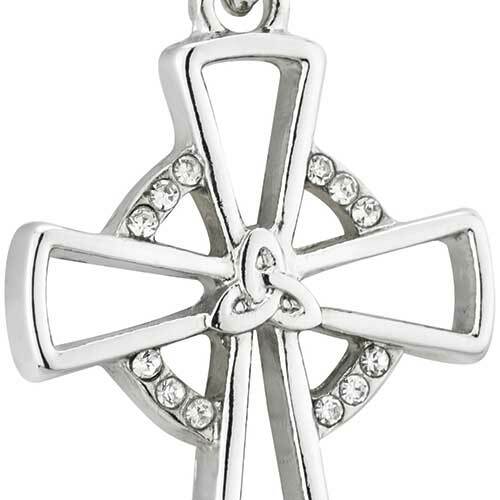 Celtic cross necklace is an open rhodium plated design that features a superimposed Trinity knot along with white crystals. 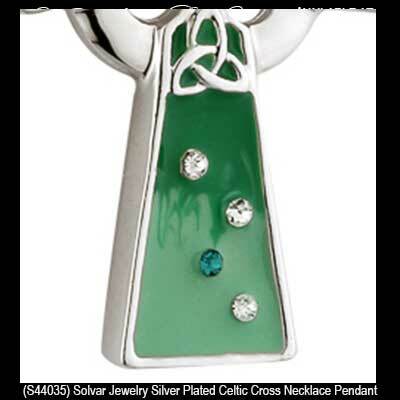 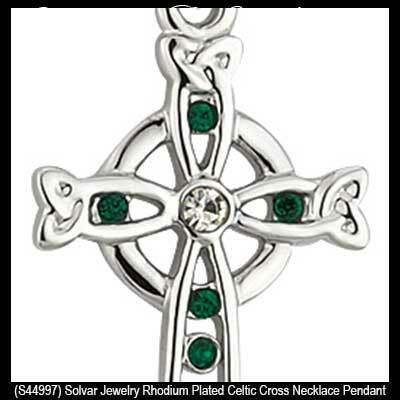 Celtic cross necklace is a gold plated design that is enhanced with green enamel. 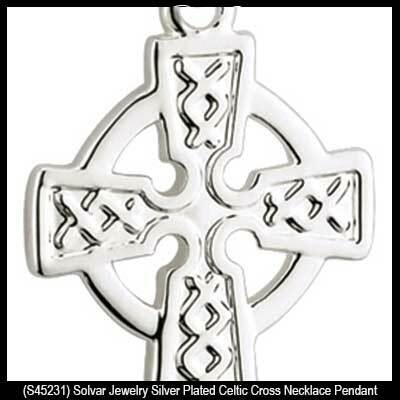 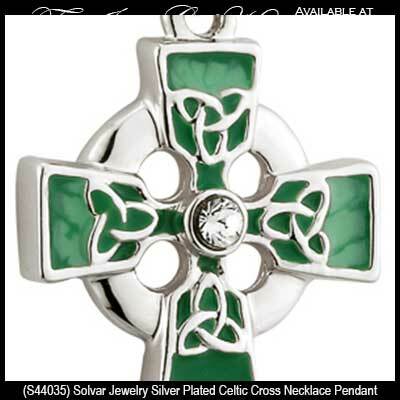 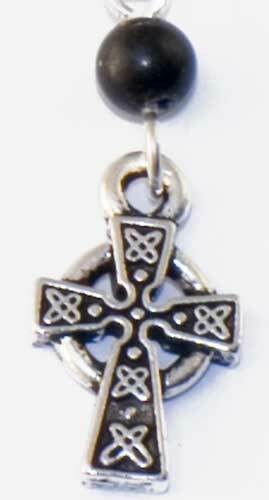 Celtic cross necklace is a silver plated over pewter design that is accented with a Kilkenny marble bead.